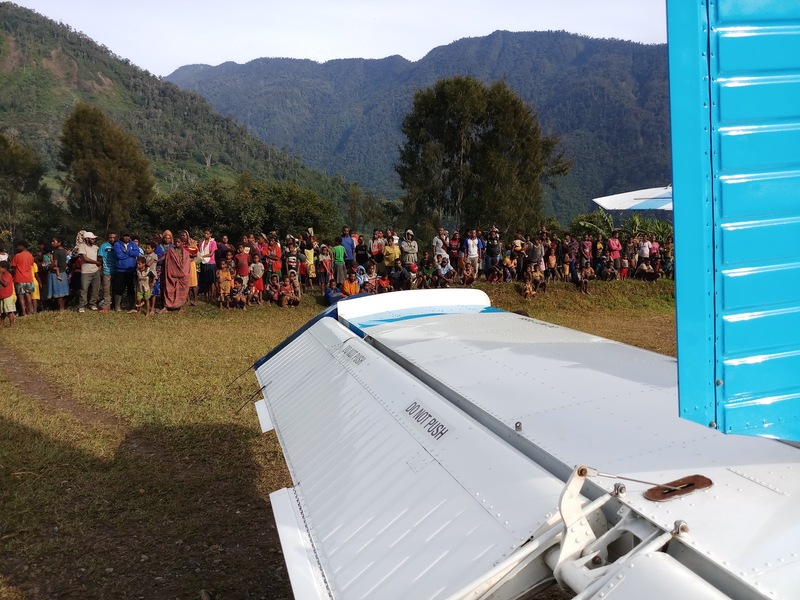 Getting checked out as a missionary pilot in Papua is a lot more than learning how to land on short, slippery runways or navigate mountain passes. For many of us, learning to interface well with the many different people groups of Papua is a steep learning curve. 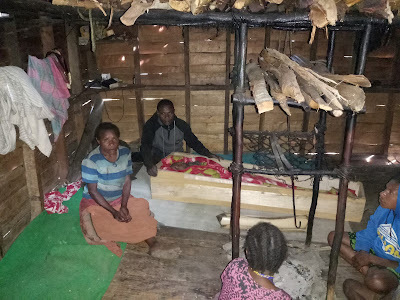 So, having passed along as much knowledge I could dig out of my aging mind to my new colleague, Andy, it was time for me to quit getting in the way and allow him to handle a complete ‘turn-around’—the time we spend on the ground at a remote village. The people of Maksum come out to meet the airplane. I turned to my friend Pies and said, “Let’s take a walk through the village.” Pies led me down the path that led to the picturesque village of Maksum. Weaving our way through the patchwork of huts, Pies and I caught up on each other’s lives. Floating through the open doorways came smoke from the morning cooking fires and the warm Ketengban greeting, Telebe. I felt among family. Pies began to explain that one of their elders had just passed away. The large hut is where folks could gather and pass the hours of mourning together. Most of the mourners had gone up to meet the arrival of our flight, but a few men were still gathered around a fire chatting quietly. “He must have been an important person.” Half statement, half question, I waited for Pies to respond. Pies told me that Gerson was the first person in Maksum transformed by the Gospel of Jesus Christ. He turned away from the darkness that had gripped his people for millennia and towards the light of a restored relationship with his Creator. Gerson spent the rest of his life encouraging his people to do the same. And they had responded. It was obvious to me how cherished this man was to his people. Instead of heading to the mourning area, Pies grabbed my arm and led me down a side path to a hut. Inside, in a handmade coffin of rough wooden planks, lay Gerson’s empty shell. On a rough shelf in the corner there’s a book--a reminder that Gerson lived to see the day when God’s Word could be read in his Ketengban language. Some of his family sat on the floor around the coffin. They would bury him later that day. I expressed my condolences, asked a few questions, and took a photograph. As I put my phone back in my pocket, I was reminded of images of the kings of this world lying in state. Gilded caskets, honor guards, vaulted cathedrals, the world’s leaders lining up to pay their respects… and here? In a simple hut, in a tiny, isolated village, totally hidden from the view of the powerful of this world, I can’t help but wonder if I’m looking at one who will be a king in the next version of this world.